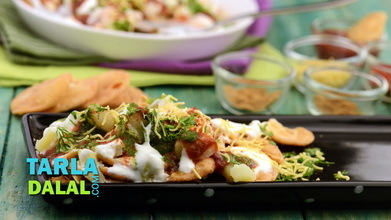 Our Indian snacks, especially the savoury ones, have a knack of making one overeat, only to feel guilty later. Not if you make them the smart way, at home. 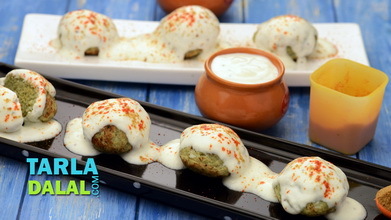 Oats and Moong Dal Dahi Vada is one such brilliant snack – a non-fried version of dahi vadas, which can be enjoyed without any guilt! Fibre from the oats and calcium from curds makes this a nourishing yet low-fat treat. 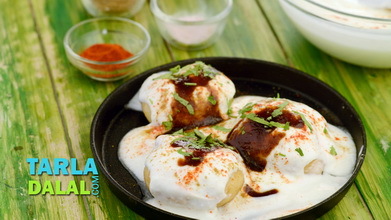 Being so flavourful by itself, it does not even require calorie-laden meetha chutney for serving. Wash and soak the urad dal and moong dal overnight in enough water. Next day, drain and blend in a mixer to a smooth paste using ¼ cup of water. Transfer into a deep bowl, cover with a lid and keep aside to ferment for 3 to 4 hours. Add the powdered oats, salt and baking powder and mix well. Grease the appe moulds with ½ tsp of oil and pour approx. 1½ tbsp of the batter into each mould. 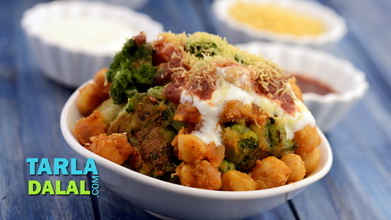 Cover with a lid and cook on a medium flame for 3 to 4 minutes or till they turn golden brown in colour. 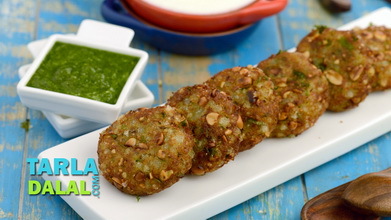 Turn each vada upside down using a fork and cook on the other side on a medium flame for another 2 to 3 more minutes or till they turn golden brown in colour. 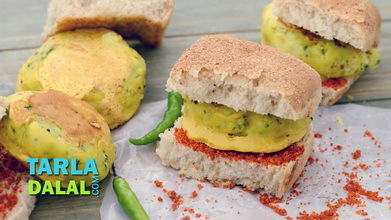 Repeat steps 5 to 7 to make more vadas in 2 more batches. 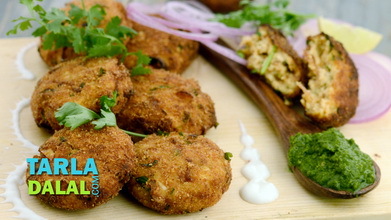 Soak the vadas in enough water in a deep bowl for 20 minutes. 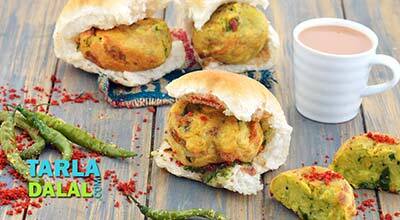 Thereafter, squeeze out all the water from each vada by pressing them in between your palms. Keep aside. 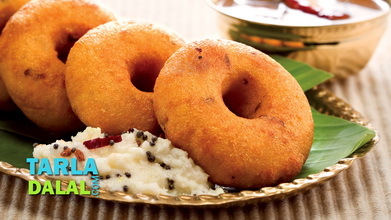 Place 3 vadas on a serving plate and spread ¼ cup of salted curds over them. Sprinkle ½ tsp of cumin seeds powder and ½ tsp of chilli powder over it. Repeat with the remaining ingredients to make 4 more servings.